Gary Jungels is a Partner in the Corporate Practice Group. As a transactional attorney, Gary has extensive experience in private equity and venture capital, and specifically fund formations and joint ventures. He has represented fund sponsors and management teams in structuring, negotiating and closing both general and industry-specific global and domestic funds, including buyout, mezzanine/sub-debt, venture capital and later stage private equity funds. In addition, Gary has significant experience structuring their management companies and advising private equity and venture capital professionals on their internal governance and economic arrangements. Gary has represented small, mid-market and larger private equity funds and their sponsors, with transaction sizes ranging from several million to more than a billion dollars. In addition, he has represented secondary funds, bank-affiliated funds, SBIC-licensed funds and funds utilizing CDO/CLO structures. Gary also advises fund and non-fund sponsors, lead investors and co-investor with respect to their fund and/or portfolio investments, including seed stage and growth stage venture financing involving equity, debt, convertible notes and SAFE instruments. 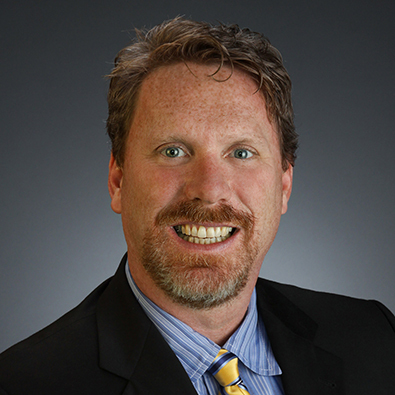 Prior to joining Freeborn, Gary was a Partner at a global law firm in Chicago. Represented a microbrewery in its capital raise and formation, as well as operational matters. Represented a founder/CEO of a technology company in his fund-raising efforts and arrangements with venture capital investors. Represented a founder/CEO of an online pharmacy company in his governance and economic arrangements with venture capital investors. Represented a private equity investment professional in his dealings with his prior private equity firm regarding his "carried interest" and economic arrangements. Represented a cannabis fund sponsor in the formation of its venture capital fund and management company, as well as its portfolio investments. In this presentation, both Nin Desai of Nin Ventures and Partner Gary Jungels cover the new general solicitation rules following 506 © as it pertains to the internet and social media, TV and radio, as well as newspapers, magazine and billboards. Additionally, they cover the stringent verification standards for accredited investors (AI’s) and crowd-funding in general. Law firm Freeborn & Peters LLP congratulates Impact Engine on receiving the Chicagoness Award from the Chicagoland Entrepreneurial Center (CEC). Freeborn & Peters LLP recently expanded its Private Equity and Venture Capital Industry Team with the hiring of Gary A. Jungels. Gary, who will also serve as a Partner in the Firm’s Corporate Practice Group, has extensive experience in private equity and venture capital, and specifically fund formations and joint ventures.